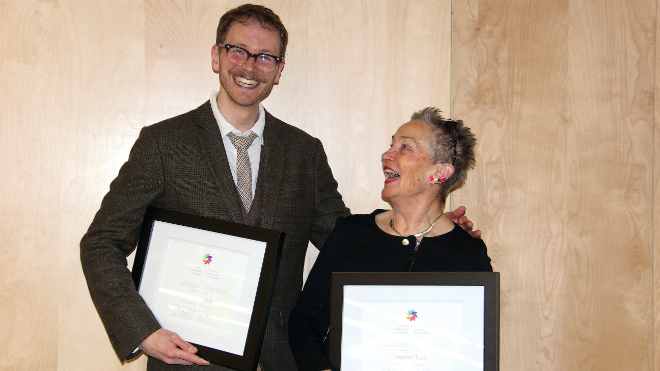 Playwright and author Matthew Heiti and artist Heather Topp were the big winners at the inaugural Mayor’s Celebration of the Arts May 1. Photo by Heidi Ulrichsen. Pat the Dog Dramaturg and PlaySmelter team member Matthew Heiti was honored Wednesday as the City of Sudbury put the spotlight on the city’s growing professional arts and culture sector. Click here to see the full article in Northern Life.